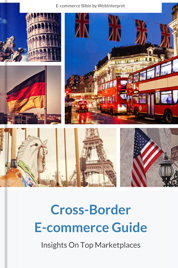 Most online retailers receive around 20-30% of their traffic from abroad. However, this international traffic tends to convert at a lower conversion rate than the store’s normal domestic traffic. Surprisingly, this also happens in cases when markets share the same language. But how come conversion rates tend to be lower for international markets, even if the language/translation aspect has been sorted out? Here’s the most probable reason. Many of the components of localization, beyond translation alone, have NOT been optimized. This can result in you losing lots of valuable traffic and sales potential from foreign markets. So why don’t more online sellers localize their stores in a proper way? 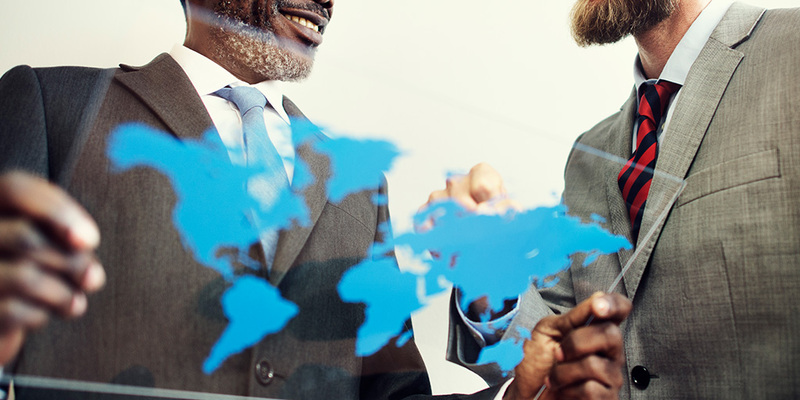 Unfortunately, many sellers see localization as a very complex process. 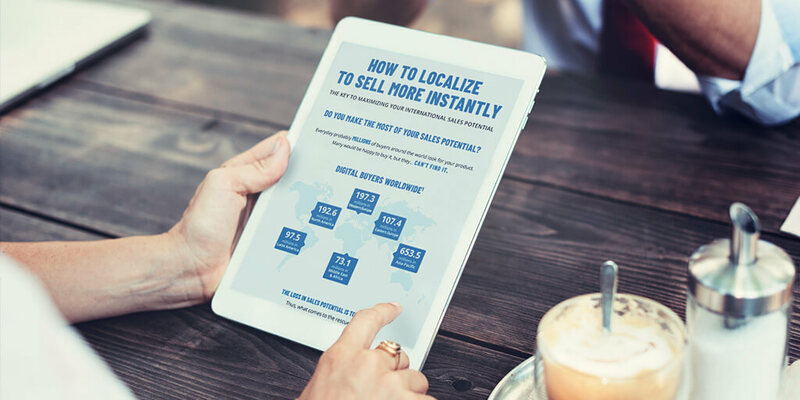 They may not realize that with today’s technology it can take just a few clicks to localize their stores and … they don’t need to be developers to master that. How to translate and localize your online store in the most efficient way? How to localize in a way that sells? We’ll give you answers in this article. Ecommerce localization adapts content for international markets and provides a user experience that feels native to your global audience. This involves translation, but also many other aspects, such as converting prices into the buyer’s currency, converting sizes, calculating taxes, creating customized rules and dictionaries, SEO and international shipping. 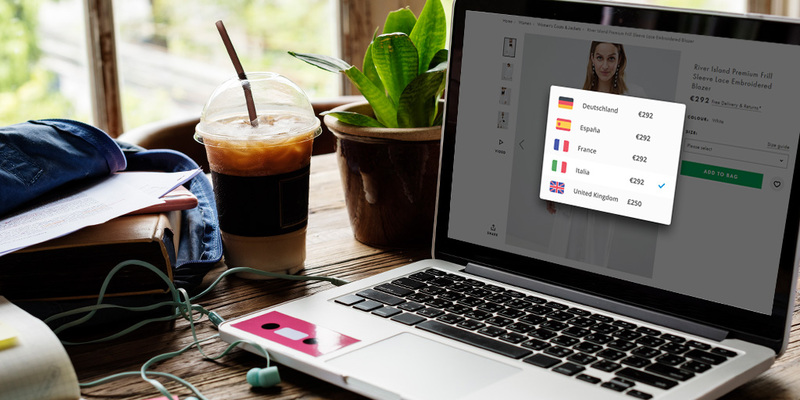 The goal of ecommerce localization is to give your international buyers an online shopping experience that is indistinguishable from their normal native experience. This enables merchants to maximize their international sales and to compete on a level playing field with local competitors. If you consider handling the localization of your online store on your own, you’ll probably have quite a lot to keep an eye on. Product catalogs are a big project and can cause a real headache. Not to mention the situation when your products are offered on multiple markets! It sounds like you can expect a lot of hassle and there’s no guaranteed return on investment. Luckily, localization technology can come to the rescue. A good solution should offer you instant translations of a website and take into account the ecommerce context. This way the vagueness and glitches of standard machine translation can be avoided. 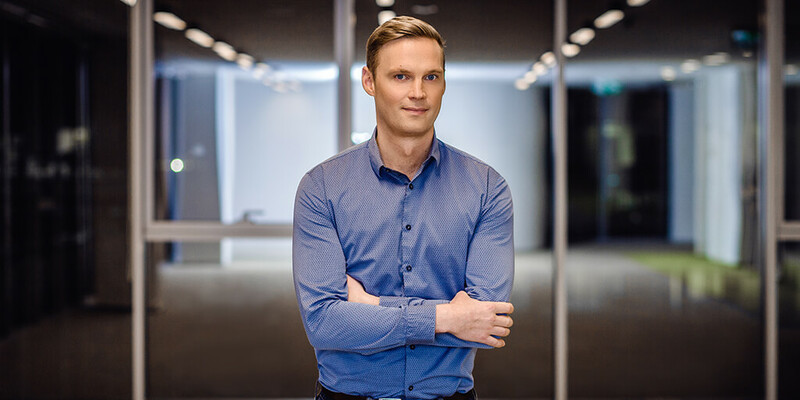 Localization conducted via a fully automated, ecommerce-oriented solution, such as Webinterpret’s Online Stores, is significantly shortened on all levels and provides a higher degree of financial security. Automation can take a big load off your shoulders, for example, each time descriptions, prices or product specs get updated, the tool picks up on those changes.Then it programmatically kicks off translation and linguists do their job. This way you can save yourself from tedious manual work and you have more time to spend on developing your business strategy. What can help you with a seamless localization of your store is Webinterpret’s Online Stores. Thanks to this solution, we can create your localized stores using your existing store theme. The localized sites of your shop will be a mirror reflection of your domestic store in terms of design, content, navigation and layout. At the same time, we will adapt content for international markets to provide a user experience that feels native to your global audience. What can you expect? Higher conversion rates! First, it will be much easier for your customers who are used to the looks/design of your domestic online store to navigate your website. It will be easier for them to find all the information they’re looking for. Second, this solution is a real money saver: recreating the domestic store on different markets is much cheaper for sellers than creating whole new online stores from scratch. 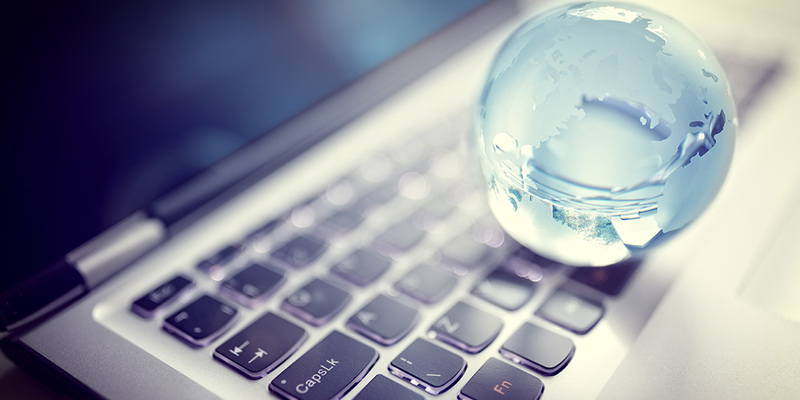 One reason we can offer you this solution is translation proxy, a website localization technology we’ve recently integrated into our latest offering. This type of translation service utilizes proxy servers to render multilingual versions of a website. There’s no extra translated website version as the proxy works as a layer. It removes the original text from the webpage and inserts the translated one from the translation memory on the fly. It’s a solution that’s both efficient and effective. One of the greatest benefits of utilizing Webinterpret’s Online Stores is getting a localized website up and running very fast. It’s possible for the original language content to be replaced when your website is accessed by foreign-language users. They will see localized content that appears native to their location. You will also profit from a better end user experience that goes far beyond rough machine translation. At Webinterpret we localize many great stores, such as TRIMTUM, Shop Rich Boys, CX London, Futureproof, Brothers We Stand, Shnoop, Nica Shooting, Go Wacky, or Fast Eddy Bearings. Here are some further benefits of using the Online Stores localization solution. It takes less time and resources to translate the website and usually it takes less time for the website to load. Instead of spending months preparing your site for localization, you can launch it in new locales within one week. It handles frequent product updates easily, e.g. of item descriptions, prices, delivery, legal terms or when adding new items. If you want to enter a number of new markets, even simultaneously, it’ll cost less and take less time without compromising on translation quality. Descriptions & content are fully translated using our new translation engine, tailored to the ecommerce context. Your existing store theme will be replicated across international markets in a consistent and exact way. No need for internal development resources. We take care of all translation, price and size conversions, legals and even international shipping for those running online stores. Everything is automated so you can focus on your business strategy. If you want to launch your online store on foreign markets, one of the challenges has to do with international SEO/SEM. There are of course many solutions you can use, such as Google Translate. However, they’re unlikely to create standalone versions of your store that can be indexed by foreign language search engines. Ecommerce localization technology provides you with an international version of your online store for each market that can be indexed by international search engines. It can also be used in foreign marketing campaigns. Thus, you can generate organic search traffic. You will convert your existing international visitors, but you’ll also be able to attract even more new visitors. The greatest benefit of using an efficient localization solution is getting an up-and-running translated website very fast. 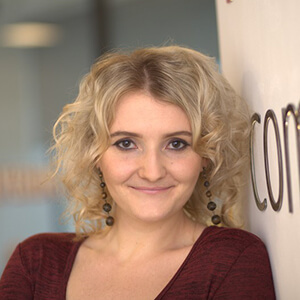 Further, ecommerce-oriented localization provides a better end user (and buyer) experience, which will definitely impact your conversion rates. 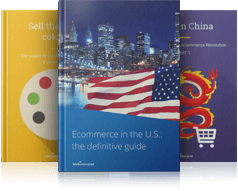 There are probably (tens of) thousands of international buyers interested in your product. However, you must help all those buyers find your online store/ product pages and let them enjoy their purchase experience with you!